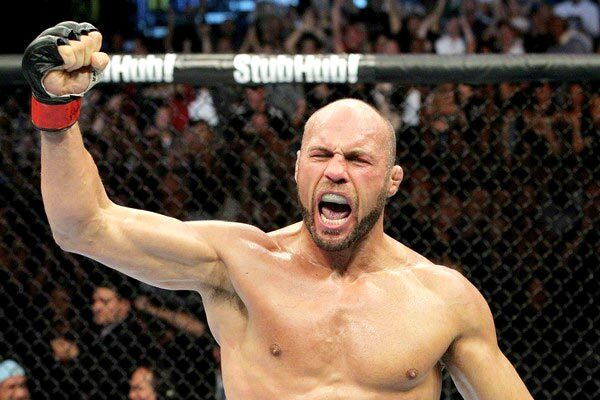 Ultimate Fighting Championship Hall of Famer Randy Couture (19-10 MMA, 16-7 UFC) has not yet announced his official decision about his fighting career, but “The Natural” revealed that his schedule is not yet booked for several months. Couture, who’s hosting 2010 World MMA Awards next week, will start shooting the new Bruce Willis film, “Setup,” in December and hopes to emancipate his role as Toll Road in “The Expendables II” beginning in March. Randy Couture revealed this on The Dave and Mahoney Morning Show in Las Vegas’ X-107.5 FM wherein he was a guest. This is not new for Couture. He has proved his acting skills in Hollywood way back 2003 and 2008. He had a stint in “The Scorpion King: Rise of a Warrior” and “Redbelt.” But his 2010 movie,”The Expendables, earned him a big breakout. The Expendables also featured several celebrities just like Stone Cold Steve Austin, jet Li, Dolph Lundgren, Mickey Rourke, Sylvester Stallone and Jason Statham. The movie also featured known action stars, Bruce Willis and Arnold Scwarzenegger. The Expendables opened in 3,270 theaters in the United States last August and topped the box office during its opening weekend. Couture announced that he will film the movie’s sequel on March. At 47, Couture still has the power to bring up his 13-year career with four fights in a 12-month period. With a three win streak, Couture has shown momentarily that he still has what it takes to perform in the octagon. Couture has hinted he may be prepared to step out from his fighting career. However, after first retirement in 2005, Couture said he doesn’t want to rush things out this time. This makes Couture a good fighter and a good actor at the same time.